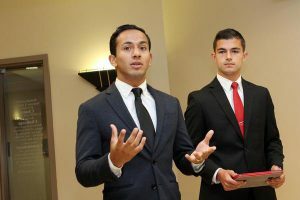 Javier Araujo ’21 LABB Intern– Learning at Wabash will inevitably take you to the source of learning. As a LABB Intern, I got the unique experience to visit Enfocus and Trek10 in South Bend, and the famous Triton Brewing Co. headquartered in Indianapolis. South Bend, home of the Fighting Irish and at one point in time the Studebaker car factory. An unexpected turn and the factory was closed down in 1967, and 14 hundred square foot space was left. Since then; future condominiums have been planned, startups built, and Purdue purchased space to hold classes in the Fall. The fleet of Wabash vans arrived in the parking lot. It seemed that no life surrounded the giant building. When we entered, I witnessed one of the most well-designed office spaces. Enfocus’ primary goal is empowering communities through city granted projects. If you have been to South Bend, you have seen the river lights, thank you Enfocus. One of their primary goals along with the mayor is rete ntion rates. Notre Dame graduates get their degree and end up just about anywhere in the nation or young business professionals instead settle elsewhere. To increase retention, they have made significant changes to the city of South Bend. Trek10 has aided that cause as well. Wabash graduate Wesley Virt has started his company Explorer Interactive, a new interactive learning aid for teachers. The app works with small cards with pictures on them, using the camera from your phone the card will show the image in 3D with information on that precise subject whether it be a science or math subject. That was just Thursday. On Friday, We visited Triton Brewing Co. located in Indianapolis. I didn’t get to sample any craft beer from Triton Brewing Co. However, I did get to taste the root beer and I highly would recommend it to anyone. Triton has a fantastic history starting with its name. Triton is the messenger of the sea, and the central message is water. David Waldman ’93 is the proud founder and a member Kappa Sigma. David has taken steps in reaching new market segments with the water he uses to brew. Triton doesn’t just make beer. They predict trends and brew based on demand and keeping a keen eye on the craft beer competitors. Tyler Ramsey ’21 LABB Intern – The fourth week of the LABB program entailed a lot of strategy and execution. The overall goal was to put each worker into a group and allow them to negotiate given a case to read from. The more detailed side of this includes each member being placed in a group which consisted of the management side and the labor side. The group s were each assigned a reading that explained what company they worked for and what the negotiation would be about. The first negotiation was held on Monday and took approximately 2-3 hours. The negotiation required a fair amount of strategy for the groups as they planned out what was ideal for their company and their selves. Next came the execution, persuasion was a big factor in the negotiation as each side presented their argument with assurance they were correct. The overall success of the first day of negotiations was excellent as each group obtained certain knowledge about how to negotiate and what to do next time. The negotiation held on Wednesday had a lot more tension between the groups as they would not make it easy for the other side. Each group had a rather strong execution which made the whole process much longer than Monday’s negotiations. Passion was visible in each of the groups and a lot of skill was obtained during the whole process. The next round of negotiations will be held next week with the same groups. The thrill of negotiations then transitioned to a fantastic meeting with Class of 1984 Rob Shook, and Class of 2015 Corey Egler. 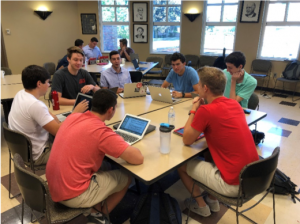 The Wabash Alumni sat down with the LABB program and spoke about their journey after Wabash and how the college has created a platform for them that allowed them to face hardships, diversity, and simply life. 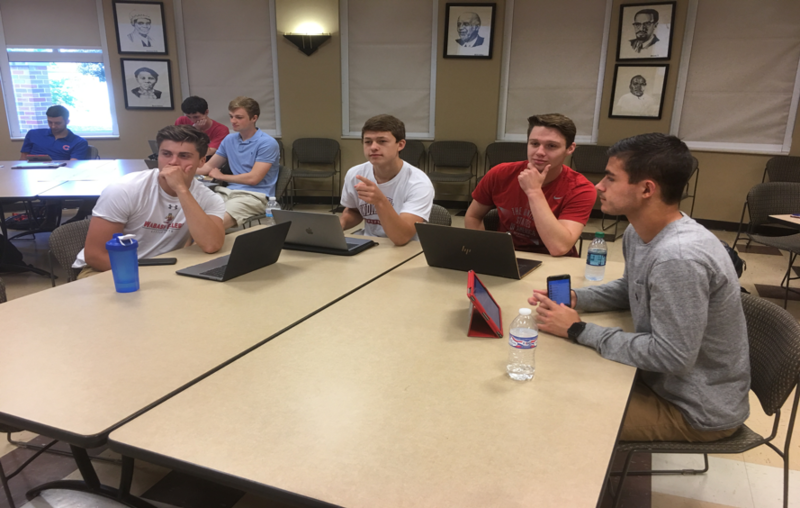 The stories shared form these Wabash men gave each member of the program in the room a time to reflect on qualities like leadership and communication. 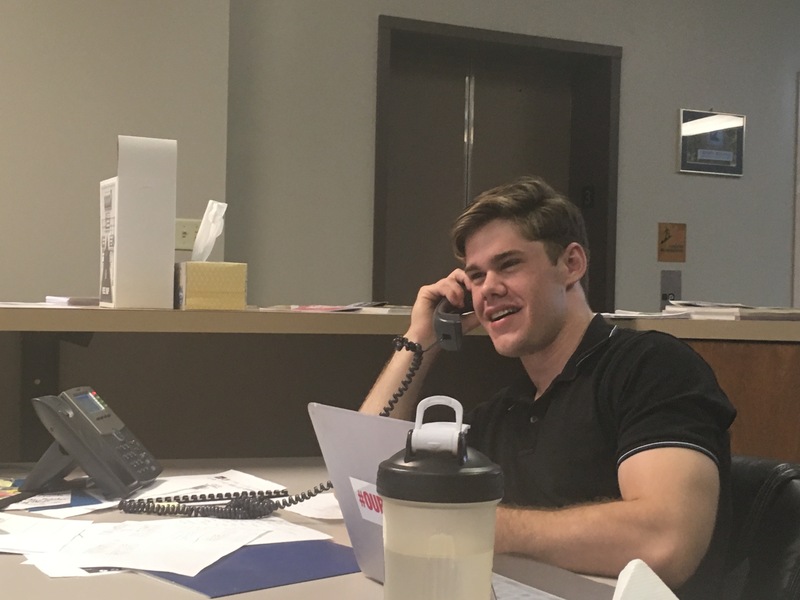 Jack Davidson ’21 LABB Intern– Throughout the past couple of weeks in LABB, we have been working on consulting projects in groups of four. Each group is faced with a problem within our campus, and we are required to solve these problems using the LEAN process and A3 problem solving. A3 problem solving is a nine step process which guides you towards so lving a specific problem. My group was assigned to address the problem regarding open-shift sign-ups for WISE positions. So far, we have completed about half of the A3 process. For each step of the A3 problem solving process, Wayne Bewley, Class of 1985, comes into class to review our steps and provide insight on how to improve our process. Mr. Bewley has been a tremendous help to our group and the class as a whole. For me, the most important aspect of A3 problem solving that he has emphasized is to never skip ahead to later steps. Each step is extremely important, and focusing on one step at a time helps guide us towards a better solution at the end of the process. In addition, Mr. Bewley has advised us to use as much data as possible when presenting our ideas. “Rough data is better than no data,” is an idea that he has emphasized throughout the process. Using data has helped provide much needed support to our ideas about open-shift sign-ups. We have yet to finish the consulting projects, but I can already see the value of the LEAN process and A3 problem solving. At the conclusion of the consulting projects, I hope we can provide the College with an efficient and beneficial solution to open-shift sign-ups for WISE positions on campus. LABB has been a great opportunity, as I have gained knowledge about many aspects of business and experienced various different real-world business problems. I am excited to continue to learn and gain valuable experiences in the remaining weeks of LABB. 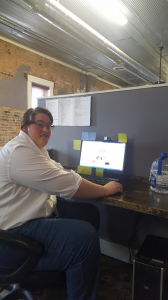 Lukios Stefan ’21 LABB Intern – Tyler Ramsey, Brent Strahla, and myself (Lukios Stefan) began the consulting project concerning housing signups. Applying the methodology of A3 thinking, a part of Lean Thinking, we set forth to determine the burning platform of the whole process by which students select their housing and roommates every semester. From our arranged meeting with Dean Welch, we gained incite upon the particulars of the process. First, students are given a prearranged time to choose their room and roommates. Next, the physical sheet of information is given to the R.A. who delivers it to Dean Welch. Last, Dean Welch passes the information to Sherry Ross, who manually enters it into the school database. Yet, our conversation uncovered a hidden factor crucial for room assignment: meal plans. Rather than simply matching up student requests with their appropriate rooms, room assignments depend upon the submission of a meal plan. Here, we considered the two conflicting issues before us: errors occasionally occurring as Sherry Ross manually enters the data. Second, the involvem ent of meal plan submissions in room assignment is inefficient; furthermore, few students are aware of this process. Thus, we arrive at box five within our A3 thinking: how will we resolve the issue at hand? The difficulty with the current system is inefficiency. The physical sheet that is given to Dean Welch should go directly to Sherry Ross. Digitizing the process onto the Wabash site might provide a more stable system. Much like class registration, students can be given a specific time frame to choose their room and roommates. Here, the option to select a meal plan can also be listed. Thus, the necessary information is available for Sherry Ross to review without the hassle of tracking down physical documents particular to individual students. Before proceeding with our proposal for this digital edition to the Wabash services, we must consult the Technology Department to find the monetary and temporal cost necessary for programing. In conclusion, A3 thinking forced us to understand the complete process of housing signups and then identify the issue before seeking a solution. 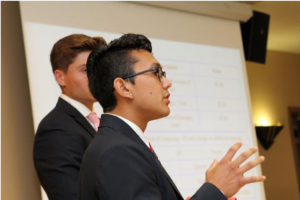 Daniel Cuevas ’21 LABB Intern – The most helpful portion of LABB so far for me has been creating and presenting our business plans. On the first day of this program, we were assigned group projects: to write up a business plan for a potential food truck. With only about a week until my group presented our pitch, we got right to work. The project proved to be much more intensive than I originally thought. My group had to account for a succinct marketing plan, a brand image, a niche that separated us from other food trucks, and a three-statement projection for one year. The project required creativity, market research, and lots of critical thinking. I met multiple times with my group to continually refine our business plan. Our final plan consisted of creating a food truck called, “Sweet Things,” where my group and I would sell over-the-top desserts that looked visually appealing and would mes h well with social media. An example of such a dessert would include a chocolate ice cream cone with a Snickers bar in there, a donut on top, and a dash of sprinkles. Our truck was based in Santa Monica, and the target audience included millennials and young families. About a week after the first day of LABB, we were presenting our food truck pitch to a panel of mock investors, which included Wabash faculty and staff. The presentation went fairly well. Afterwards, the investors gave us constructive criticism and tips for our own improvement as entrepreneurs. The comments and advice were invaluable; I was able to see things I had not originally considered, and I was able to see areas on which I can improve. I came out of that project with a huge amount of knowledge and drive. Creating and presenting these business plans provided me with real-world experience that I could put to use right away. Just last weekend, I returned home to Northwest Indiana to be with my family, and I visited my mother at her floral shop. Once I arrived, I immediately began working on a social media plan for the shop in order to give the social media campaign some direction and specialization. I made this plan with everything I learned in mind: target audience, niche, and much more. The LABB Program and its real-world projects have already taught me so much, and I can’t wait to gain more knowledge and experience in the remaining three weeks of the program. 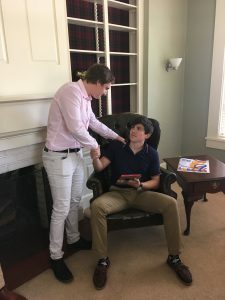 David Thomas ’19 Connecta– At the time of this writing, interning with Connecta has proven to be a unique experience. Connecta is almost entirely different than my previous internships, whether it be the work environment, fellow employees, or job tasks. To those who aren’t familiar with the company, Connecta Corporation is a manufacturer of specialty precision parts and assemblies for commercial, medical, electronic, and aerospace applications.The company specializes in the use of CNC Swiss turning machines to produce small to medium runs of precision turned parts. Competitive manufacturing processes have enabled Connecta to achieve the commercial success that it has today, contracting with branches of the US military and many other prominent international customers. As noted earlier, my tenure with Connecta has been nothing short of interesting. Thus far, I have worked on a variety of projects that are both directly and indirectly related to the front-end production. For projects directly related to front-end production, I have to say that my prior technical education with precision machining has helped substantially for this internship (in other words, I am glad to have enrolled in machine shop classes during high school). When performing a quality control testing project for steam valve assemblies, my prior knowledge about precision machining came as an invaluable asset for properly communicating specifications about the project, using correct “industry language”. Aside from quality control testing, I have also assisted in shipment preparations for Connecta’s products. My project assignments that were indirectly related to front-end production proved to be a bit more challenging and open-ended. One of these projects is a sidewalk replacement, which involves outreach to the Indianapolis city government. Over the past five years, local elderly residents have been injured by falling on this sidewalk, resulting in my task assignment to resolve this issue. As mundane as a sidewalk replacement may seem, it has proven to be quite challenging to mobilize the necessary support when there no great incentive from the city to allocate its limited resources towards this end. As a result, greater advocacy efforts are needed to bring find a solution to this ongoing five-year problem. At the time of this writing, I have completed several phone calls to city officials and scheduled a meeting the local community association to gather in formal petition. By the end of the summer, I hope to put the 34thstreet sidewalk on the city’s construction agenda. Overall, my internship experience with Connecta has taught and reaffirmed several lessons in my ongoing learning process. I found two to be prominently important, because these two have helped me the most with my internship. First, I noticed that drawing upon residual knowledge is an important part of finding or creating opportunity. Therefore, collecting a diverse range of skills is crucial for maximizing opportunistic potential. Whether it be my machine shop classes in high school or my liberal arts education at Wabash College, I found that thinking holistically about applying what I have learned increases the quality and capability of my work. Second, I found that communication clarity is ridiculously important. In all aspects of the internship, from the processes of the production floor to the phone calls with city officials, communicating with clarity sidesteps many of the inefficiencies that result from misunderstanding. Going forward into my professional career, I intend to hold these principles to heart. I am grateful for the experiential learning curve from my summer internship with Connecta. 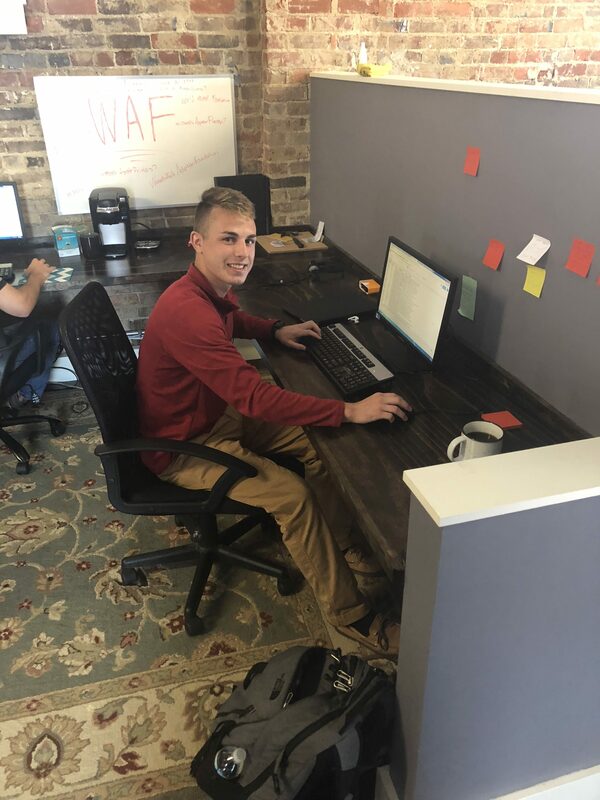 Connor Phelps ‘20 Business Development Intern SafeHiring Solutions– I would like to start by thanking the CIBE at Wabash for providing me with the opportunity, as well as the funding that has made this internship possible. I would also like to thank the staff at SafeHiring Solutions for supporting and pushing me to develop as my internship continues. For those who do not know, SafeHiring Solutions LLC is a background company founded by its CEO Mike McCarty. Mr. McCarty also found two other LLC in SafeVisitor Solutions, a management system, and RefLynk, and automated reference checking system. For my internship, I am working with the Business Development Team and was specifically assigned to Technical Analysis. This could include anything from conducting research of a new system or application that would benefit the company to testing the API connection between two websites and then providing reports on your findings – both of which I have been given the opportunity to do in my short time at SafeHiring Solutions. On Day 2 of my internship, the Business Development Team provided me with my first project for the summer. I was tasked with finding a software that would allow us to record via webcam or screen casting, edit the existing and new videos for educational or marketing purposes, have the ability to convert videos into multiple formats as needed, and allow us to track any analytics of the videos we were to post. Without any prior knowledge of video editor systems, I was able to educate myself on some of the specifics of the video editing world and more specifically what would be most constructive for the company. After multiple days of research, I was able to download multiple systems that fulfilled all required fields and compare their user-friendliness. By the end of the week, I was able to present a full report, with multiple demonstrational videos for reference, of which software I believed to be best to the CEO and Executive VP & COO. Since the approval, I have been able to edit and create between fifteen and twenty videos, post them to YouTube channels I created for the separate LLCs, have them embed in the websites for the companies, and track multiple analytics to see what type of videos receive the most spotlight for future reference in future videos. I believe it is important to note that coming into this internship, I was not a technically savvy individual. Through this internship, SafeHiring Solutions has taught me a significant amount of how the technical side of a business is operated. When I began this internship, I did not have the slightest clue what and API is; within two weeks, SafeHiring had taught me so much that I was able conduct tests on whether the API was properly connecting two websites. Once again, I would like to thank SafeHiring Solutions and the CIBE at Wabash for the opportunity and I look forward to finding out where it can lead me in the future. 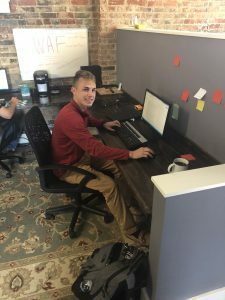 Nicholas Weaver ’20 Business Development Intern SafeHiring Solutions – In the past six weeks, I have become a more well-rounded individual professionally thanks to my 8-week internship at SafeHiring Solutions funded by the CIBE at Wabash College. Entering the summer, my only prior work experience was a part-time job delivering pizzas in Brownsburg, Indiana. While working at SafeHiring, I learned many valuable skills in the workplace. I had to communicate with other co-workers effectively to ensure my projects were able to be completed correctly, I took feedback as a way to grow instead of an opportunity to become bitter, and I established post-college career goals which motivated me to give it my all no matter the task at hand. Throughout my internship, I have been placed on the business development team, a group whose primary goal was to grow the companies list of clients. Since SafeHiring focuses on background checks and safe visitor management systems schools, churches, and volunteer organization made up a majority of the company’s clients. Most of my projects consisted of finding contact information from prospects and putting all of the data into a spreadsheet to run an automated marketing email campaign highlighting products SafeHiring Solutions offered and educated potential clients on the benefits of working with the organization. One of my most substantial tasks consisted of searching for contact information for all public schools in the United States. While the project was a process, the result provided many leads for SafeHiring. Once again, thank you CIBE for providing me this excellent opportunity to intern at SafeHiring Solutions. Just by being put into a working environment and given tasks to complete, I learned a wide range of skills that will make me a better employee for other companies in the future. I was never the perfect intern. I made mistakes along the way, and those errors allowed me to grow into a more respectful, understanding, goal driven, and hardworking young man. The most valuable lesson I learned from this experience is to step back and take a breath if you make a mistake, and then ask for feedback so you will not make the same error. I believe Lauren Thomas, the VP of SafeHiring Solutions said it best, “no one is expecting you to be perfect, but employers do expect you to learn from your mistakes.” Thanks to the opportunity the CIBE offered me Lauren’s advice was one of many lessons that will help myself become successful professionally in the future. Christopher Barker ‘20 Indy Fuel– Before I begin, I find it fitting to first give thanks to all those who have supported me and advised me throughout the application process this past academic year. If it weren’t for the guidance and encouragement from Cassie, Julia, Roland, and Alejandro at Career Services and the Wabash CIBE, the financial support from Wabash College, Rob Shook’s friendship, my Uncle Rick and Aunt Karen for taking me into their home, and for my parents and family for their unconditional love and support, I would not be the same person with this opportunity to work for Indy Fuel Hockey Club. I’m grateful to God and then the College for crossing our lives, and I cherish the friendships we share. For those of you who may not know, the Indy Fuel is a professional ice hockey team in Indianapolis, Indiana. They are members of the ECHL, a AA hockey league. They are affiliated with the Chicago Blackhawks in the NHL and the Rockford IceHogs in the AHL. The Fuel just finished its 4thseason as a franchise this past spring, and they play at the Indiana Farmers Coliseum located in the Indiana State Fairgrounds. When I was seeking out summer working opportunities in the winter and spring, one of my go-to questions for potential employers was “How does this company get involved in the community?”. The Indy Fuel has a pretty simple answer to this that I get to focus in. 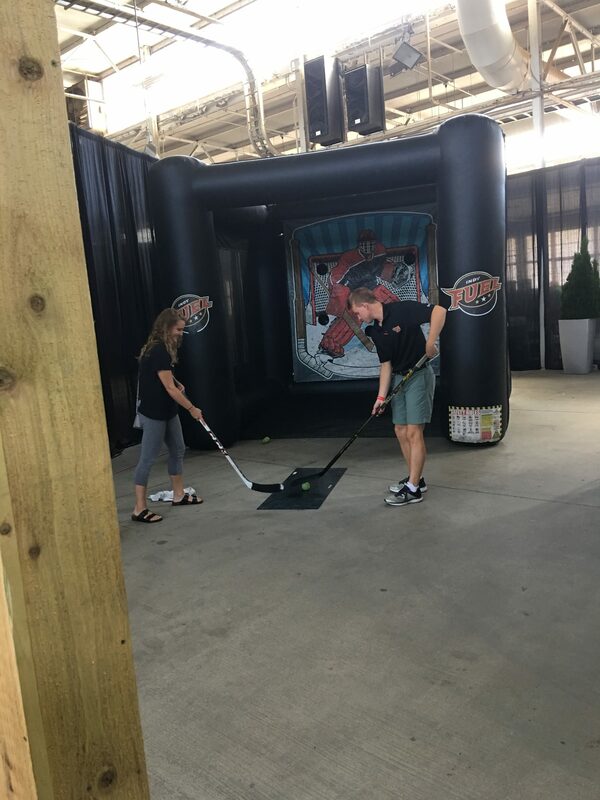 My main responsibility with the Indy Fuel is to represent the franchise at various events in the community. These can range from First Friday Food Truck Festivals, company outings, or even private birthday parties. 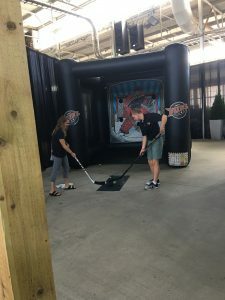 I load up the Nitro Van with the tent, inflatable Hockey Slapshot Goal, giveaways, and raffle tickets, and I talk with anyone from season-ticket holders to young kids who want to learn how to shoot the puck! This could feel like grunt work at times, but it is very important to the franchise. The team has only been playing for four years, and exposing the name to new people at every event is the first step to bringing people into the Coliseum for action-packed, family-friendly hockey games. When not at community events, I also work regularly in the front office. The office is small, which allows for everyone to add their own touch to their position. I get to shadow the people there and learn about the amount of work and dedication needed in the ticketing, sponsorship, game operations, social media and records, and upper management positions. I have even been allowed to come to interviews for open positions and meetings with sponsors. The main thing I’ve learned at Indy Fuel is the importance of making business personal. Everyone in the office gets along well and understands each other’s senses of humor. The Fuel’s VP of Sponsorship gets to know the sponsors she works with, and even knows and brings their favorite candy to meetings. This a skill I hope to further sharpen throughout the summer because I know that it is an indispensable tool I can use in any industry I may work in. Patrick Carper ’21 Montgomery Chamber of Commerce – Over the past few weeks on the job at the Crawfordsville/Montgomery County Chamber of Commerce, I have immersed myself in the culture of the community. I’ve learned about local businesses, services, history, festivals, recreation, issues, and governmental policies all in an effort to discover the things young people find most attractive about the community and broadcast them to people that are considering relocating to Crawfordsville or Montgomery County. I’d like to thank everyone who made this internship possible for me. Crawfordsville faces the same challenges that many other small and mid-sized communities face. Many of the smartest in our schools, the ones who go off to good colleges and become doctors, lawyers, businessmen and women, or other professionals, move out of the community after college because they have options. Many of the young people that remain simply have fewer options. Maybe they don’t aspire to a six-figure career, and that’s okay. They are still valued members of the community. However, this dilemma contributes to a smaller than ideal proportion of working professionals to other working people. One doesn’t need to look past Montgomery County’s median household income to see that our community is in need of more well-paying jobs. As an intern at the Chamber of Commerce, I am producing a series of pamphlets to convince young aspiring professionals to stay in Crawfordsville and others to move in. This involves pouring through local historical accounts, researching the local housing market, sitting in on meetings, and uncovering the features of this place that already convince members of the community to stay. After the initial research for any given topic, I wrap the community’s biggest selling points into a pamphlet that I produce with Adobe Creative Cloud software. Some of the community’s brightest that move away eventually do return. But what is lost is a decade of their young adult life where they could’ve solicited Montgomery County businesses, ate food grown or raised on Montgomery County farms, and sent their children to Montgomery County schools. Instead, during that time they solicited businesses in Indianapolis, ate out of Zionsville restaurants, or sent their children to Brownsburg schools. If Crawfordsville wants to flourish, it should actively seek out young professionals whose growing families will fuel new growth in town, not older individuals living on a fixed income. By designing marketing targeting specifically for them, I aim to attract a younger generation to this community.